Cooperatives Europe releases today its latest publication “Good practices in international cooperative development: Why creating a knowledge sharing culture is key for international cooperative development work”. Alongside, a brochure has been released capturing the key features of the research. Aiming to foster a better understanding of the methods and approaches used by the Cooperatives Europe Development Platform (CEDP) organisations in their international cooperative development work, the document maps the CEDP activities in diverse geographic and thematic areas, showcasing good practices and tools used by members. 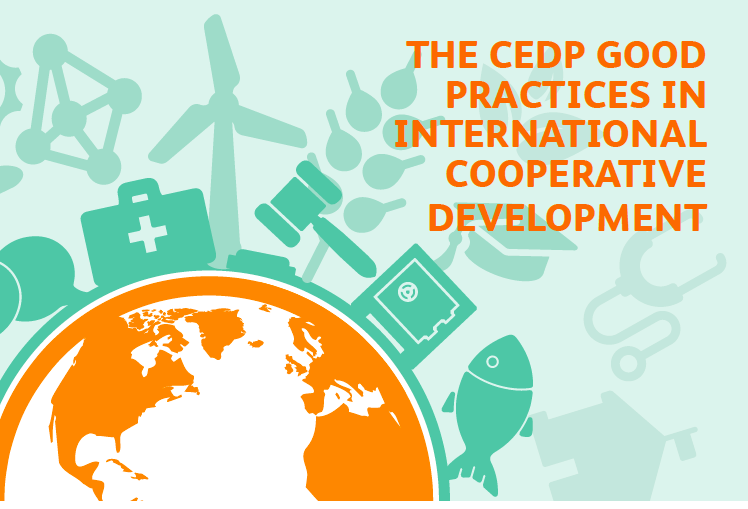 This research is intended to encourage partnerships between CEDP members by highlighting each organisation’s specific expertise as well as potential synergies, and to enable external actors to better understand the advantages of international cooperative development as a successful development approach. Carried out in the framework of the ICA-EU Partnership (#coops4dev), the new research was led by Cooperatives Europe, The Co-operative College, Coopermondo-Confcooperative and Kooperationen, and supported by all CEDP members. The report and brochure will be disseminated at the International Co-operative Alliance’s Global Conference. Find out more about CEDP here.